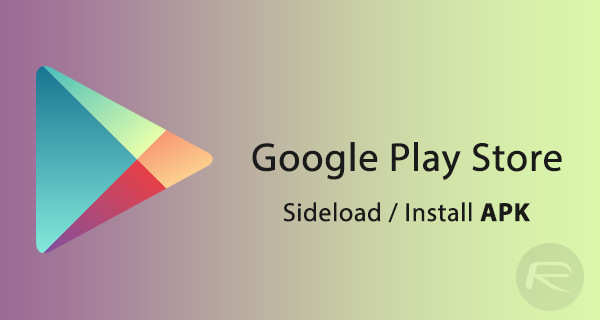 Here’s how to download and install or sideload Google Play Store APK latest version update on your compatible Android phone or tablet device. If you have an Android device, whether it be a smartphone or tablet, the Google Play Store is more often than not the access point to a world of new experiences which dramatically change the capabilities of that device. However, it can sometimes be necessary to actually manually install the Play Store, as bizarre as that may seem. Something may have gone wrong with your installation and it’s been taken off the device. You may have actually purchased a device from a friend, or somewhere like eBay, and it hasn’t shipped with the Play Store installed for one reason or another. It may also be that latest version of Play Store hasn’t been rolled out for your device as yet. If that’s the case, then it’s actually relatively easy to get the Play Store APK installed onto the device without any additional equipment needed. Before we begin, it is important to note that this is a tablet/phone-only method, so make sure you are connected to working data or WiFi network, and are not on the brink of the battery running out. Step 1: First up, you need to allow your device to install packages from unknown or untrusted locations. To do that, launch Settings, and then navigate to Security (may be named differently depending on your device). Make sure Unknown sources is enabled. It may seem a little scary, but it is basically just telling the device that installation of apps from outside of the Play Store are acceptable. Step 3: If the download and resulting execution of that download pops up a warning saying something along the lines of these types of installations could harm your device, you need to simply skip past it and continue. Tap Ok to continue. Step 4: The file downloaded will be in zip file format but that’s nothing your stock file explorer app cannot handle. Simply extract the contents and you will find the latest APK. Step 5: Now simply tap the latest Google Play Store APK file to invoke the installation process. 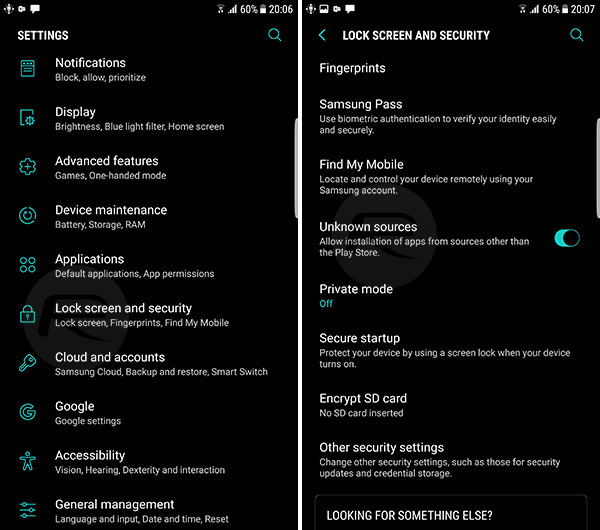 This new APK will of course come complete with some permissions so make sure you are okay with those before proceeding. Tap INSTALL to continue. And there you have it. 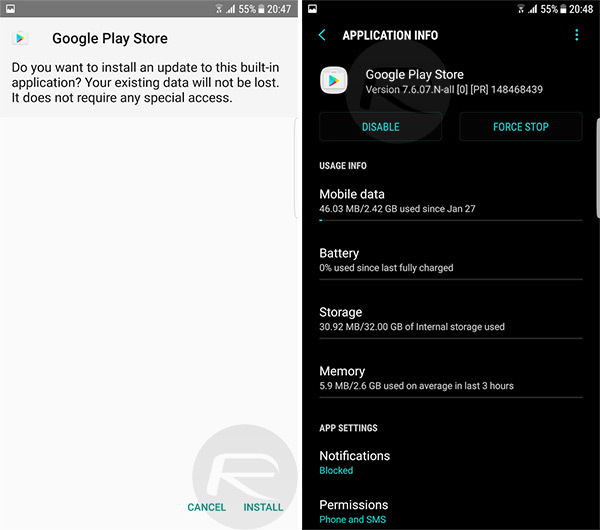 The idea of sideloading or installing manually may seem daunting at first, but once you have the right information at hand, it’s actually extremely easy and quick to get an APK file, such as this latest version of Google Play Store, installed onto an Android device.